Just over a week ago we moved down to Cornwall, it’s a gorgeous place and of course it’s rammed full of fantastic beaches! As a parent I know how much my kids love playing at the beach but I’m also normally the mum who forgets a change of clothes and watches as their kids run into the waves. 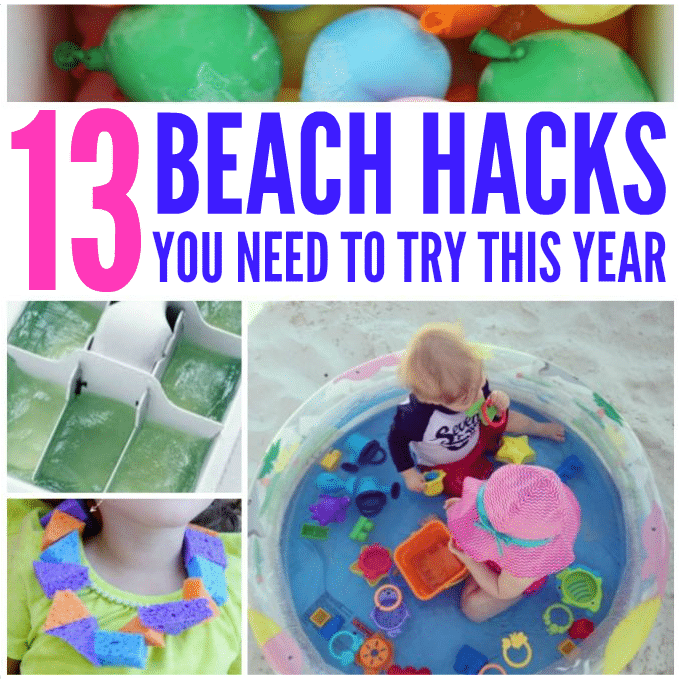 With that in mind, today I’m sharing my favourite parenting hacks for trips to the beach, I know I’m going to be using these this summer too! Fill water balloons with water then freeze them, perfect for keeping your cool bag cool and the kids get something to play with when they thaw! If there’s any chance you’ll get sunburnt make sure you get these frozen aloe vera cubes ready in advance! Make a sponge lei for each of your kids to keep them cool. Follow this great advice from Baton Rouge Moms and take a paddling pool for little ones to sit in. I highly recommend pop up tents with UV protection like this one to keep them out of the mid-day sun too, both my kids loved ours! Make this brilliant bag that unrolls into a beach towel with a pillow in it – I need this! Follow The Idea Room’s brilliant advice and take along a mesh laundry bag so you can get all the sand out of beach toys before you leave. Hide your money in a rolled up nappy or an empty Chapstick tube. Taking a baby to the beach? The Military Wife and Mom has some excellent tips on how to make it as easy as possible! 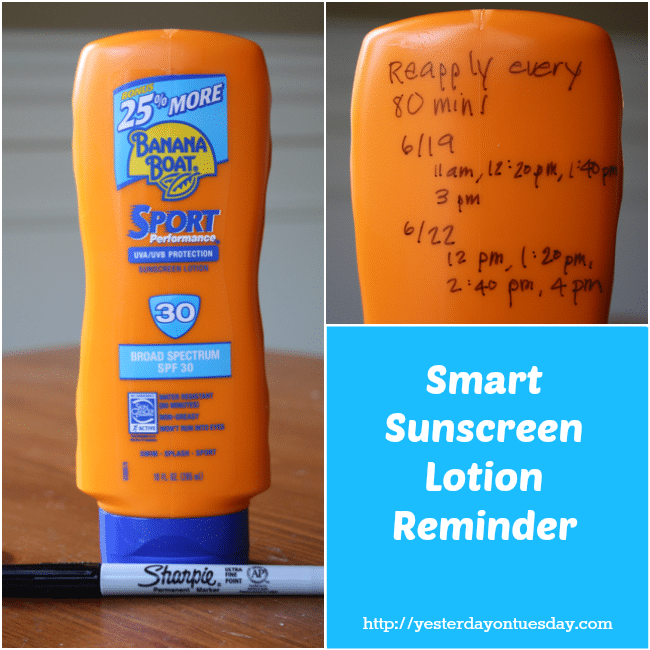 Take a pen so you can make a note on your suncream about when to reapply it. My red shoulders tell me I need this one!! Make sure you don’t forget a thing with this printable checklist from In The Playroom. A cooler is my favourite thing to take at the moment! 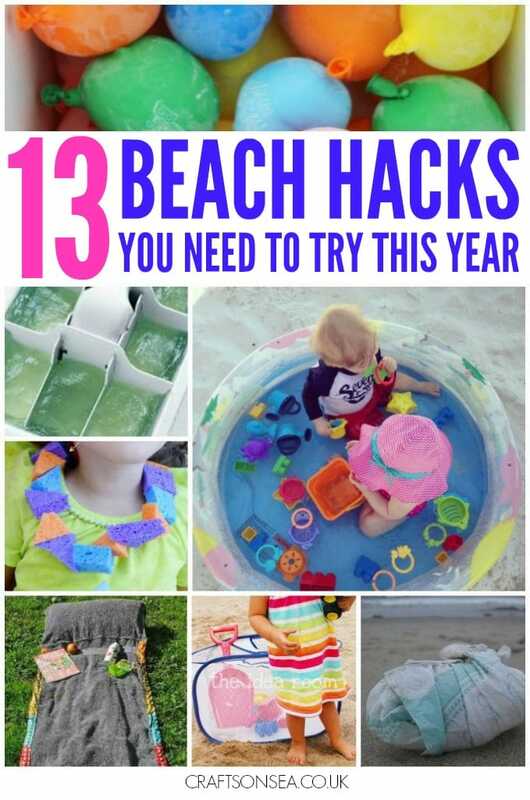 Hunt round your home for to make your own DIY homemade sandcastle kit. I love this idea from Popsicle blog, we have loads of these little paper flags around at the moment! 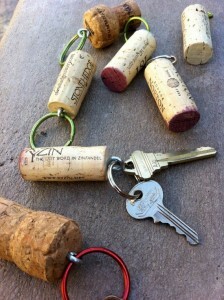 As a family who have lost keys and wallets in the ocean on way more than one occasion, I love these floating key rings!